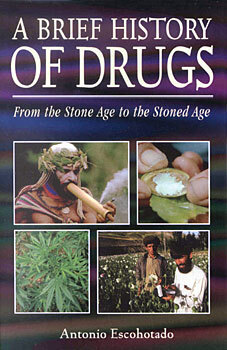 From remote antiquity to the present era of designer drugs and draconian interdiction, drugs have played a prominent role in the cultural, spiritual, and social development of civilizations. A Brief History of Drugs shows how the story of drugs illuminates the story of humanity, exploring the long relationship between human beings and mind-altering substances. MArijuana, for example, has been used in India since time immemorial to stimulate mental agility and sexual prowess, and a census in 312 C.E. revealed nearly 800 stores in the city of Rome devoted to selling opium. Similar examples can be found in cultures as diverse as the Celts, the ancient Egyptians, the Aztecs, and other peoples around the world. "A fascinating and informative history of humankind's checkered and often ambivalent relationship with psychoactive plants and drugs. From the role of the opium poppy in ancient Mesopotamia and the ergot-based mystery cult of Eleusis, through the opium wars in China and the persecution of medieval herbalist witches, up to the 'psychedelic rebellion' of the sixties and the insanities of the current 'war on drugs,' Escohotado covers an enormous subject with scholarly acumen and brings the light of reason to bear on topics often shrouded in bigotry, ignorance, and cupidity. Highly recommended!" -- Ralph Metzner, Ph.D., author of The Unfolding Self and Green Psychology.